The Digital Marketer Traffic and Convergence conference was just as amazing this year as it was last year! I was again blown away by the greatness, knowledge & inspiration! And this year we got interviewed by Entrepreneur Radio! 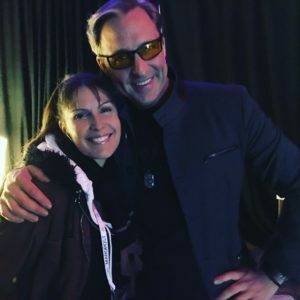 Another one of my many highlights from the show was meeting mentor Dave Asprey, the man who’s made “bio-hacking” a household term. Some of Dave’s stuff might not be for everybody but there’s no questioning his contribution to cellular awareness and getting up close and personal with every aspect of existence from our body’s blood, bones and organs to the air we breathe and beyond… I’ve listened to more Bulletproof radio podcasts than episodes of the Voice. Love always, to this fantastic wonderful gentle giant! In addition to my awe moment with Dave, the content provided by DigitalMarketer founder Ryan Deiss was stunning, “Don’t fear the bots!…They will never have compassion… Fear those with no compassion! !…”And “Rise and Grind” with @Damon John was fabulous. He definitely has bling-bling on set (got to love a man who loves his diamonds!) but honestly a very compassionate, down to earth guy with a lot to teach. I spent more of my week at this year’s conference getting to know the brands at the booths vs the lectures. 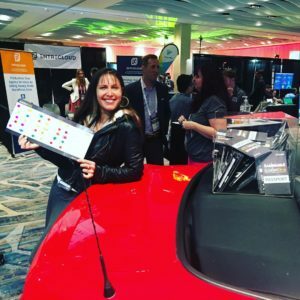 DigitalMarketer had a drawing where a new red convertible was going to be given to the guest who had visited all the booths. I was all over that! Because of the contest I ended up learning so much more and got up close and personal with some of the best Digital Marketing companies in the world. I kind of feel like this conference is a must-go-to for every business! I didn’t win the car but it went to a guy who has 6 adopted kids. But what I did get was tons of new relationships and huge knowledge and inspiration, this is definitely worth the weight of the car! 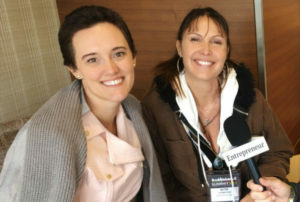 As for my interview with Entrepreneur, talking functional fashion and style beginnings with Alan Taylor and the beautiful Amanda Holmes from Entrepreneur Radio was a total blast. We had such a fun time talking fashion, family, farming, marketing and wellness. Both were charming and hilarious hosts who had me laughing my head off the whole time So glad they picked it up!